Imperial staff gathered this week to celebrate the College's recent successes in supporting academic women. The event saw the formal presentation of the inaugural Julia Higgins Medal and certificates, which recognise individuals and departments that have made a significant contribution to the support of academic women at the College. 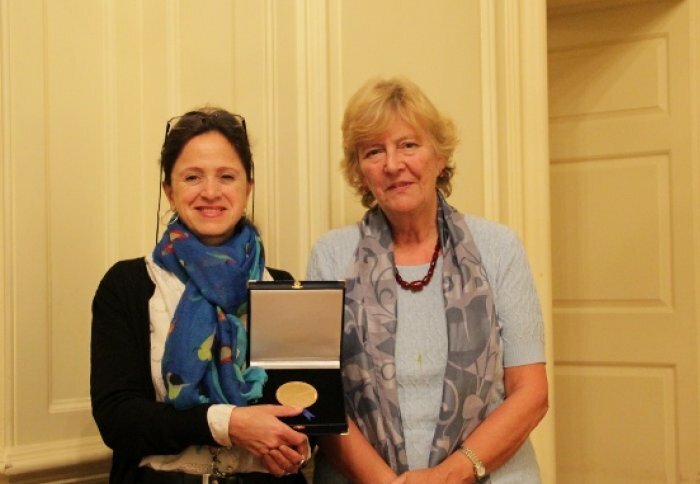 Named in honour of the former Dean of the City and Guilds College and Principal of the Faculty of Engineering, Professor Dame Julia Higgins FRS, FREng, the medal was awarded to Professor Lesley Cohen of the Department of Physics in recognition of her work in supporting colleagues. 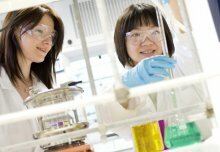 The Department of Chemistry and the National Heart and Lung Institute received Julia Higgins certificates in recognition of their own work. The evening was also an opportunity to celebrate Imperial’s successes in the Athena Swan Awards over the past year, which include a Gold Award for the Department of Chemistry, and a Silver award for the College as a whole. Imperial’s Provost James Stirling thanked colleagues for their efforts and paid tribute to Professor Dot Griffiths’ contributions as the Chair of the College's Academic Opportunities Committee.